Cash Assets in percent of Total Assets hit 17.25% for U.S. commercial banks according to figures released today by the Fed. This was the highest ratio ever reported based on data going back to August 1985. 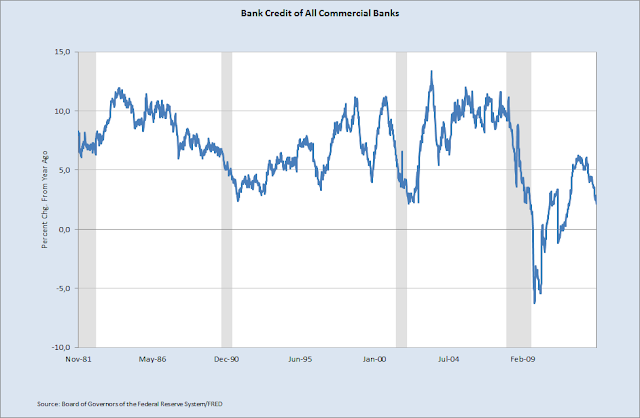 The average ratio since August 1985 is 6.73%. 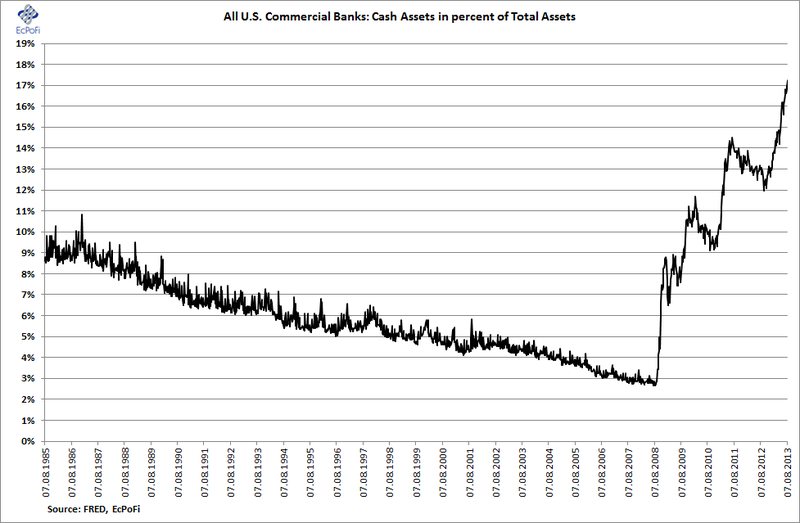 Instead of increasing lending, banks are simply hoarding cash. 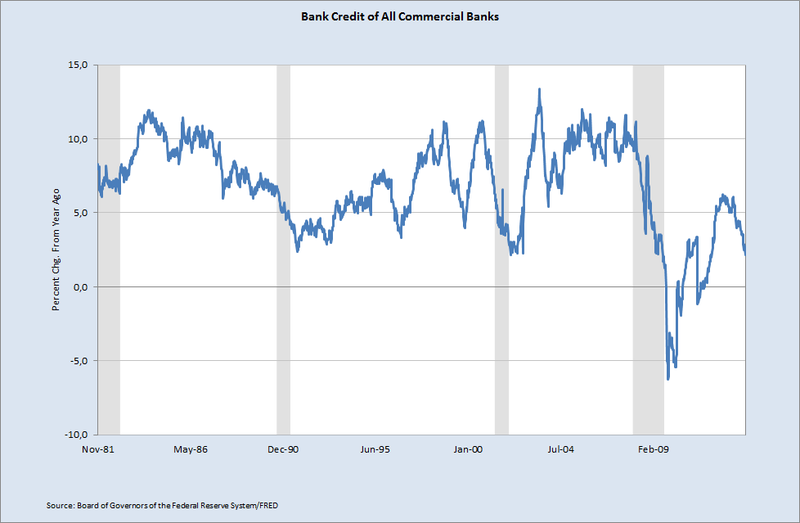 As a result, bank credit (lending) is plummeting. Over the short term, this could be bad news for the stock market as it will negatively affect money supply growth.